More than three-quarters of respondents to a new National Association of Realtors’ poll believe that now is a good time to sell a home. Sixty percent of Americans think that the economy is improving, also an all-time high. Seventy percent of Americans say that top-performing schools are either somewhat or very important when purchasing a home. Both the number of Americans who believe that the time is right to sell a home and those who think that the economy is headed in the right direction are at all-time highs as the third quarter ends, though qualifying for a mortgage worries a substantial portion of the population. 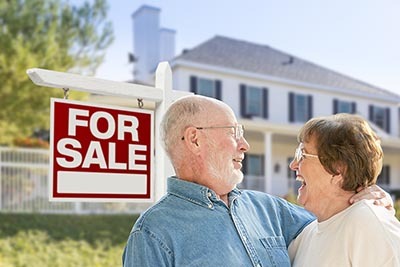 The National Association of Realtors’ latest Housing Opportunity and Market Experience survey found that 77 percent of Americans either strongly or moderately think that now is a good time to sell a home. Respondents in Western states, where prices are high, are the most likely to view the housing market as favorable to sellers, with 85 percent believing that it is a good time to list a home. Americans appear to be bullish on selling a home because of both the strong U.S. economy and home prices that have been rising for 78 consecutive months on an annual basis. Sixty percent of households think that the economy is getting better, also a record high. Seventy percent of consumers believe that home prices in their neighborhood have increased over the past year, and 53 percent project that appreciation will continue for the next six months. Meanwhile, the number of Americans who perceive that now is a good time to buy a home continues to shrink, which Yun says is likely a by-product of rising prices and therefore, down payments. Nearly 60 percent of nonhomeowners believe that they would have a very or somewhat difficult time qualifying for a mortgage, and that number could increase in future surveys. Yesterday, the Federal Open Market Committee increased interest rates again, with the expectation of one more hike in 2018 and three next year. A final point from the survey once again highlights the importance of good schools in the homebuying process. Seventy percent of Americans said that top-performing schools were or would be important in a home-purchase decision, which lines up with results from two other recent studies. A separate NAR survey released earlier this month found that 50 percent of homebuyers with children under the age of 18 said that high-quality schools are important when purchasing a property, and a near equal amount prioritized convenience to schools when making a decision. And in July, almost 80 percent of successful buyers told realtor.com that they sacrificed some amenities to land a home in their desired school district.